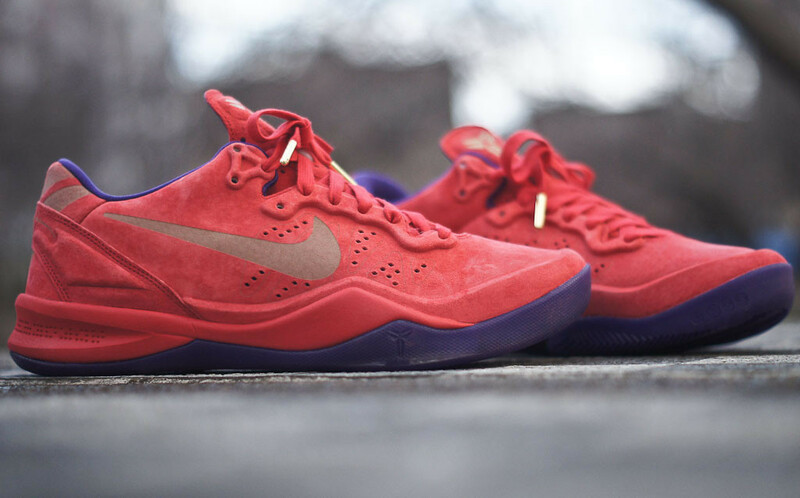 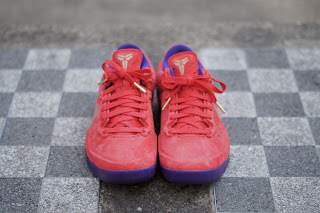 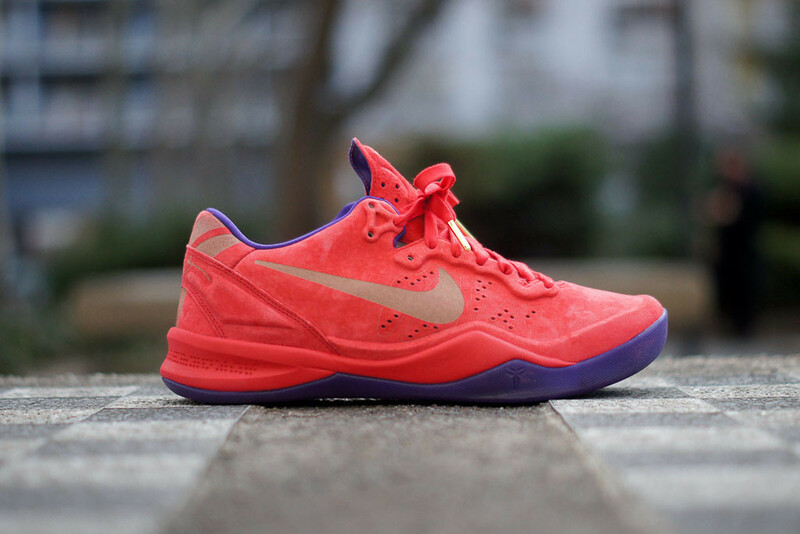 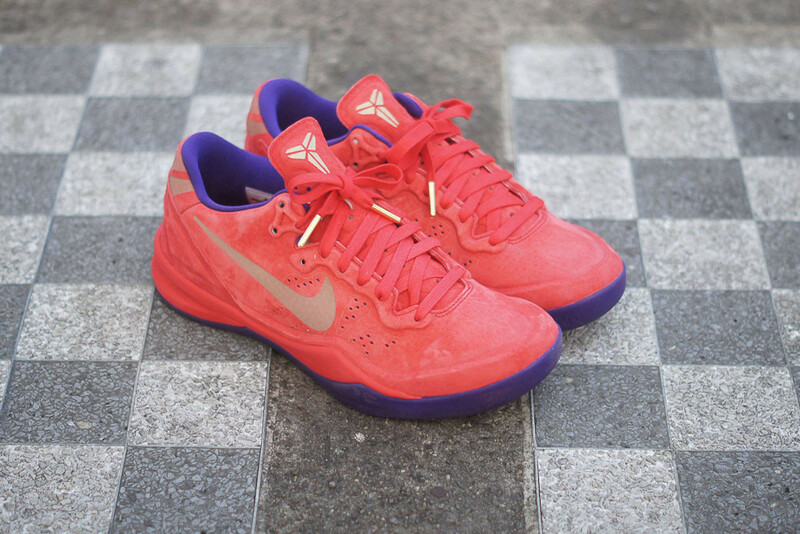 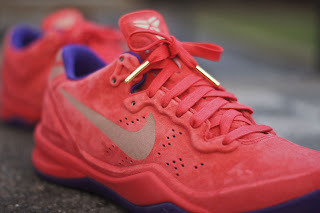 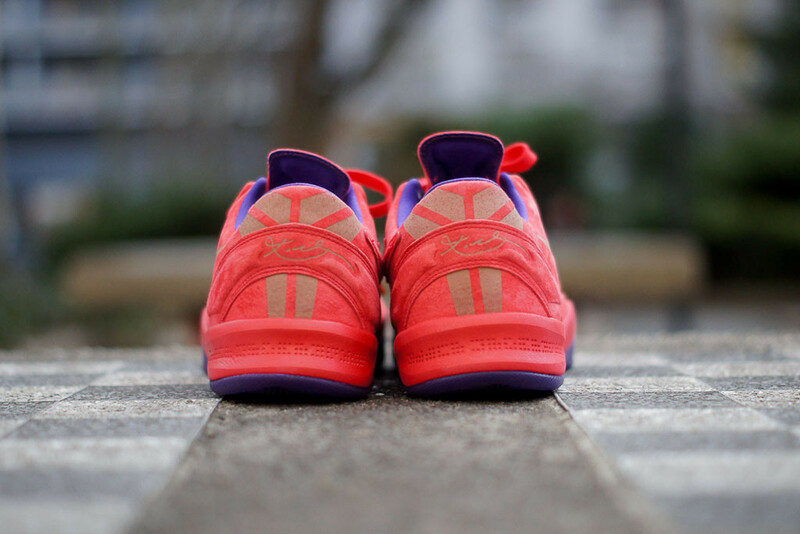 Nike releases these Zoom Kobe 8 Ext in celebration of the Chinese New Year - Year of the Snake. 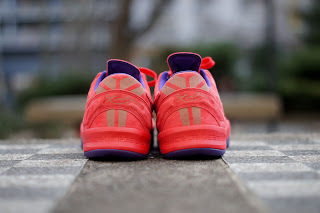 Presented in a red leather suede upper the trainer features a lazer etched 'Swoosh' branding on the side, perforated detailing on the sides and tongue, a reinforced tonal suede heel support, thin padding down the tongue and a Kobe Sheath branding on the tongue and insole. 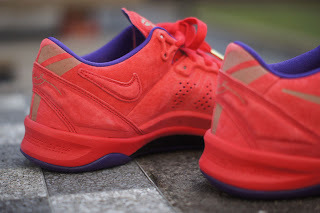 Other details include a lightweight red midsole with contrasting purple tred, flat woven laces and supportive padding around the ankle.